Pierce has been published in Arc, The Fiddlehead, CV2, The New Quarterly, The Literary Review of Canada, and The English Journal (USA). 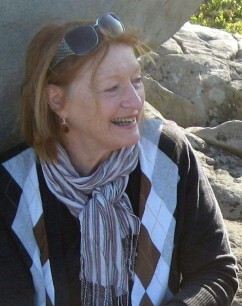 Her work has been anthologized in Words Out There: Women Poets in Atlantic Canada (Roseway); Best Canadian Poetry 2008 (Tightrope);and in Undercurrents: New Voices in Canadian Poetry (Cormorant). Recent work was long-listed for the CBC Literary Award in Creative Non-Fiction. Her book, Vox Humana,was published by Brick in 2011, and will receive its second printing in the fall of 2012. Pierce has worked for Roseway, CBU Press, and as an independent editor and mentor. She conducts manuscript review workshops across Canada and tours frequently for readings. Alex is a member of The Writers’ Union of Canada.